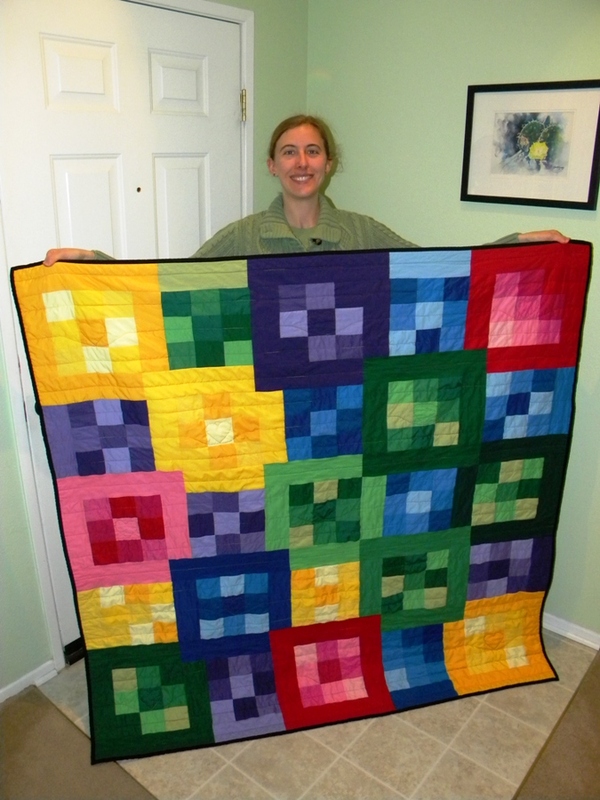 When I first selected this quilt for Baby Sharp, the baby was being a bit shy and we all thought we were going to have to wait to find out the gender at birth! 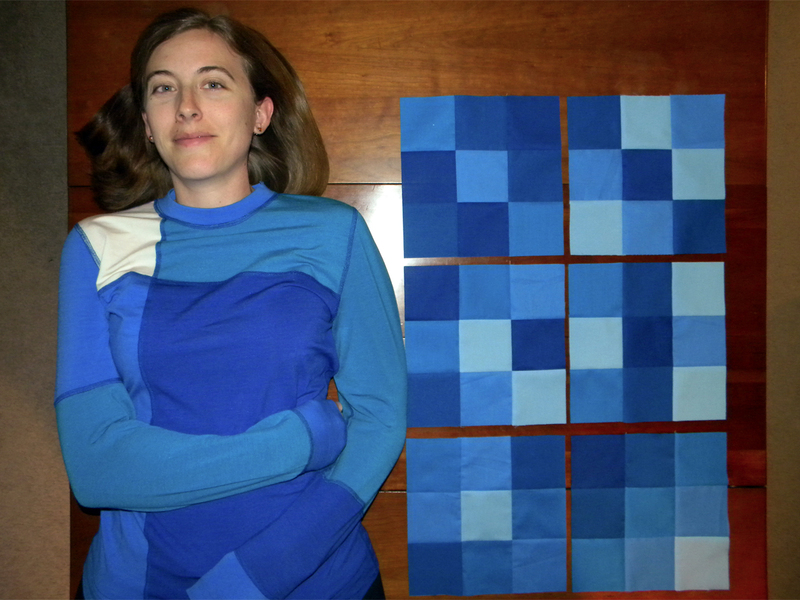 Just as I started sewing, one last ultrasound revealed a baby boy, so I changed up the pattern a bit to pull out some pinks and emphasize the blues and greens a bit more. 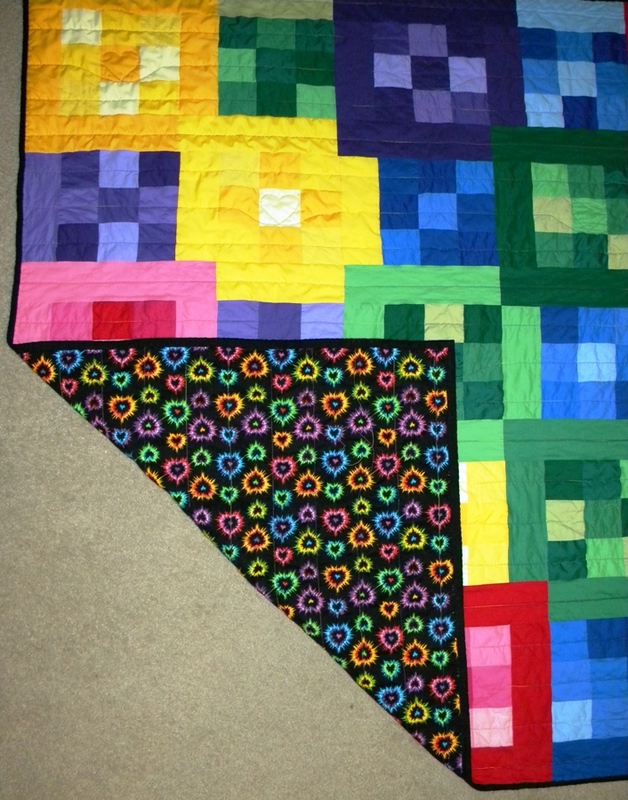 Because the front of the quilt is so bold and colorful, I knew that I would want to bind it with solid black to frame the quilt. Picking out the backing was a small challenge, but when I found the tied-died looking hearts on black and showed it to the mom-to-be, we both thought it was great. 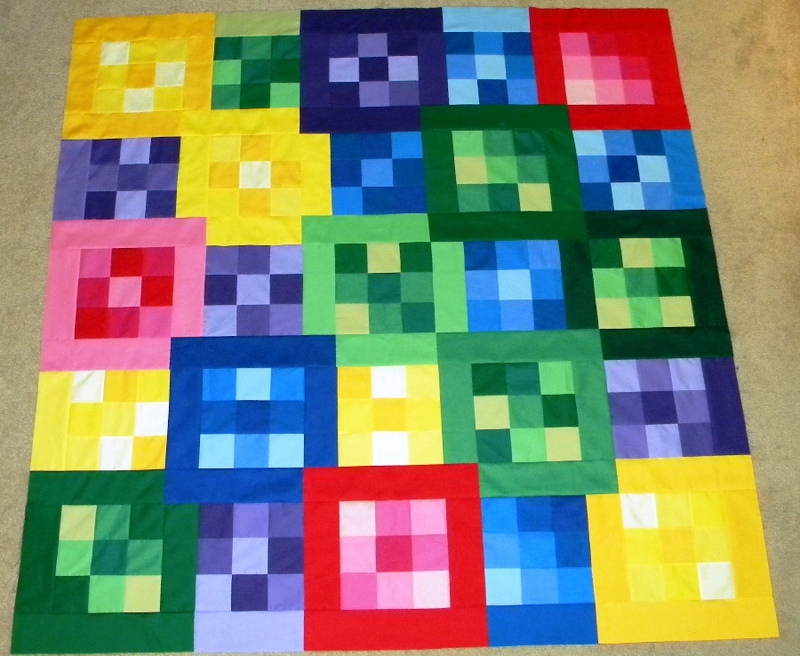 With the quilt completed, I have to say that the backing really pops and complements it very well. I am so happy with how this has turned out! 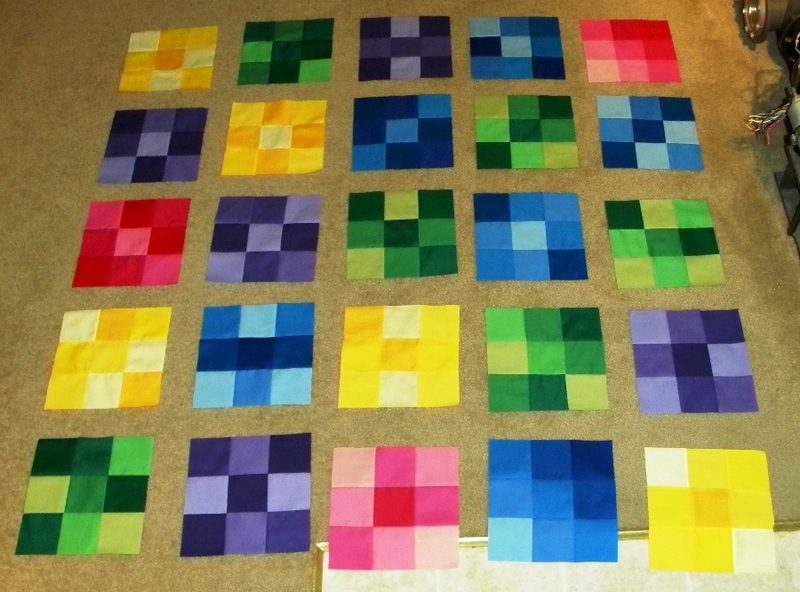 The finished quilt is just around 64″ by 64″, so it’s rather large for a baby quilt. I hope that the family gets lots of use and love out of it for years to come. It was so much fun to put together – my love of rainbows could be part of the reason! Also, as I pulled back on the pinks in the quilt, I had 3 pink nine patch blocks left over that I turned into hot pads. A quick and fun way to use up the left over material!